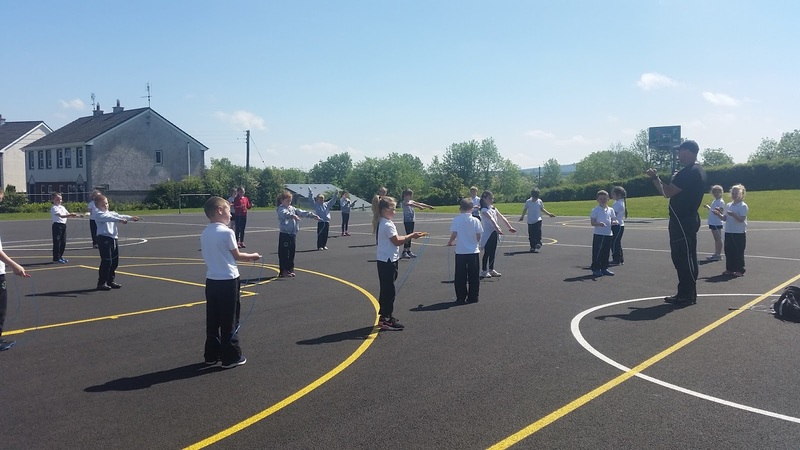 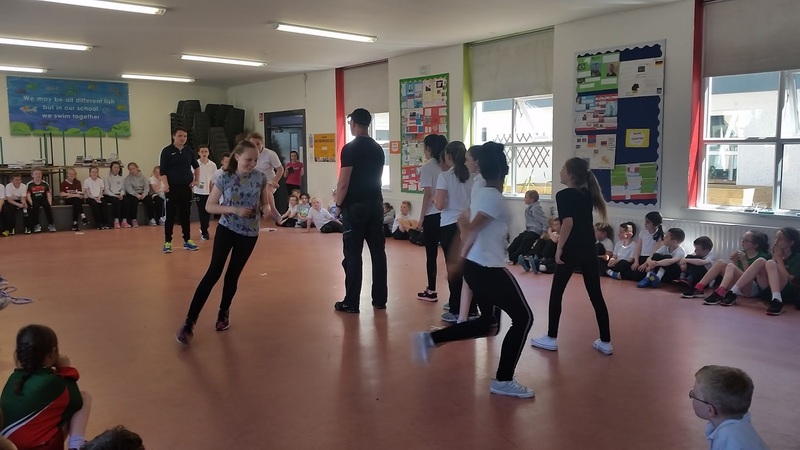 Lee from Skip Hop visited our school recently to do a skipping workshop with us. 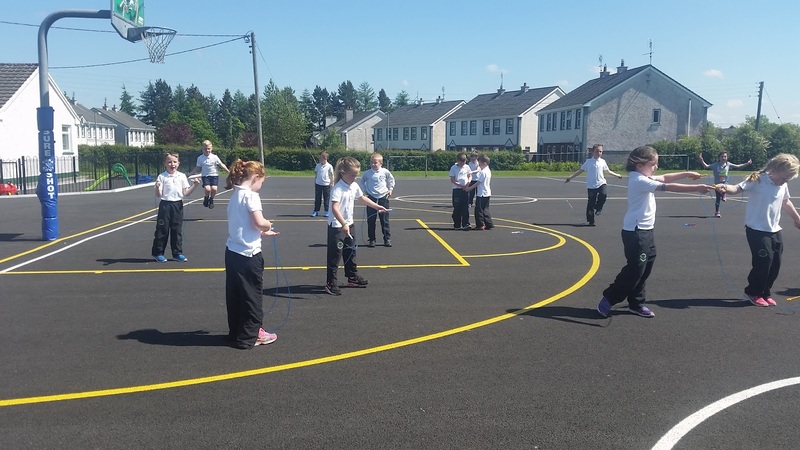 We took part in many skipping activities - some that were easy and some that were quite tricky!! 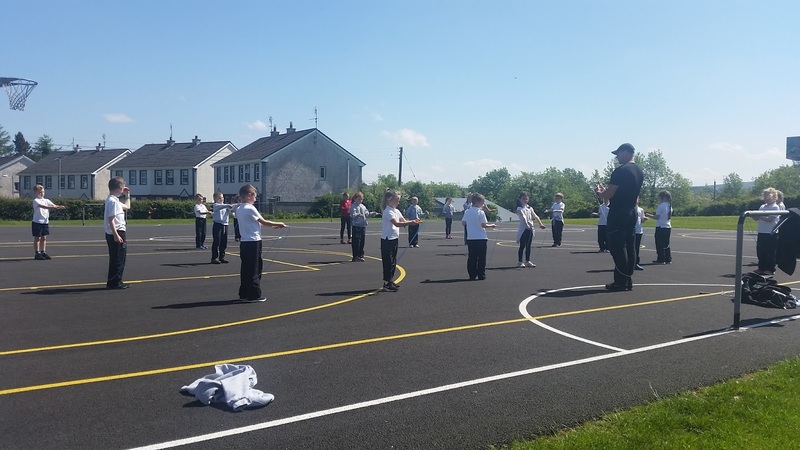 He was very impressed at how we had improved since his visit last year. 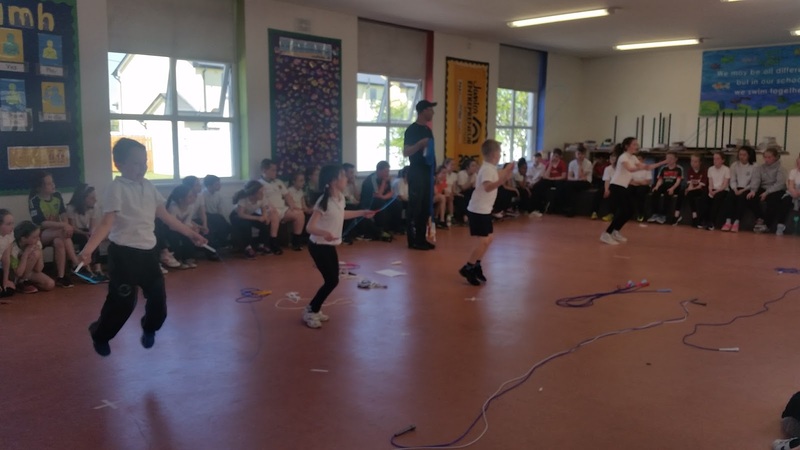 In the afternoon, we took part in and watched a demonstration of the skipping activities. 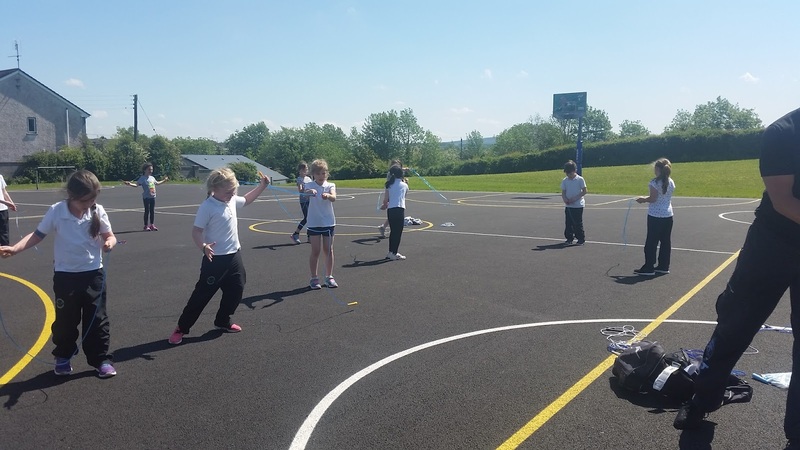 The older classes amazed us with what they could do. 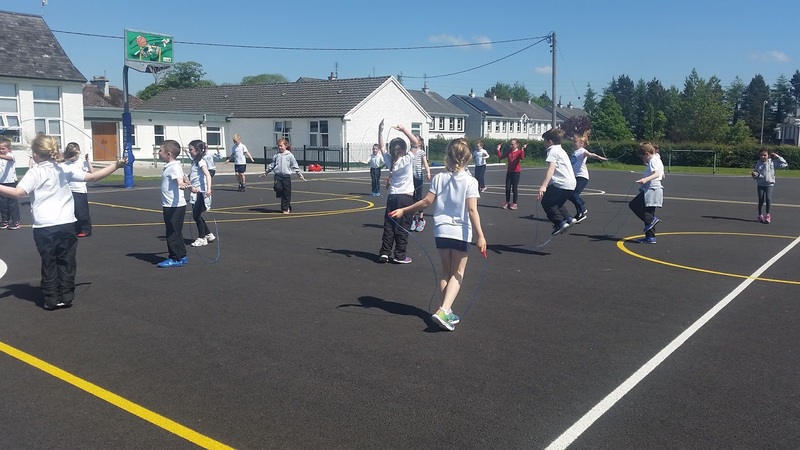 We are going to practise our skipping at home and on the yard.